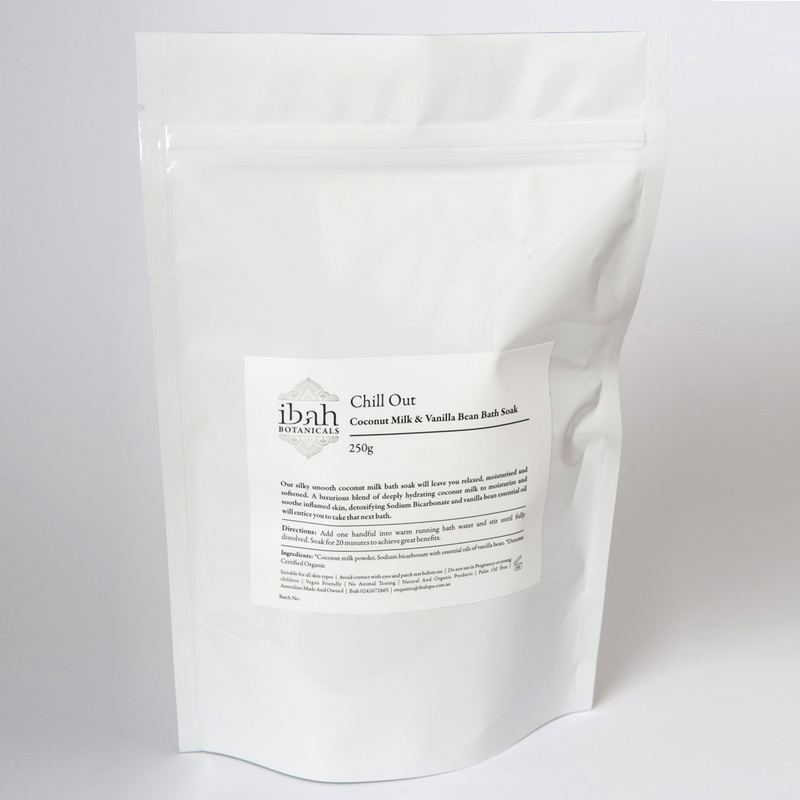 Our silky smooth coconut milk bath soak will leave you relaxed, moisturised and softened. A luxurious blend of deeply hydrating coconut milk to moisturize and soothe inflamed skin, detoxifying Sodium Bicarbonate and vanilla bean essential oil will entice you to take that next bath. *Coconut milk powder, Sodium bicarbonate with essential oils of vanilla bean. *Denotes Certified Organic.